What Triggers Rosacea And How Is It Treated? Have you noticed that your face is red and blotchy with bumps that are similar to acne? If so, then you may have a common skin problem known as rosacea. You’ll notice redness on your chin, forehead, nose, and cheeks. The red color can also appear on your chest, neck, head, and ears. Here is a short guide on what causes it, and how to treat it. 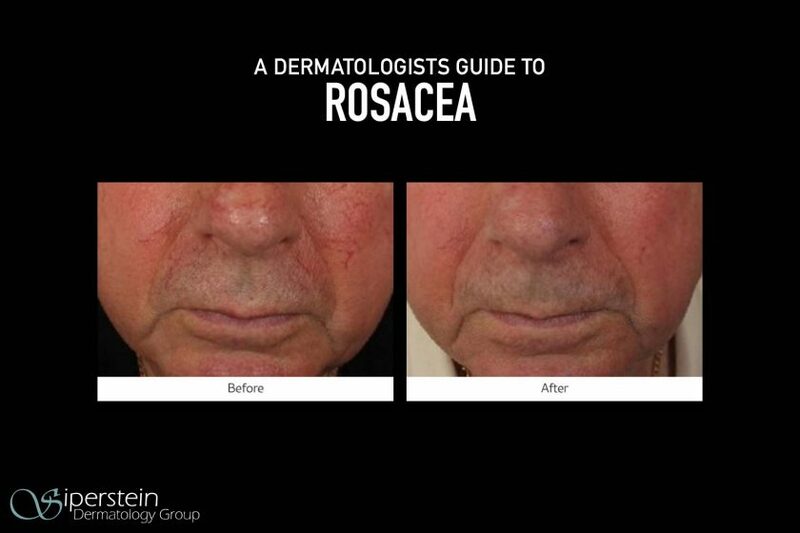 Rosacea usually affects fair-skinned people ages 30 to 50, but it can occur at any age. This skin condition can be hereditary, and it’s more common in women. With this form of rosacea, the skin is often sensitive and dry. There may be prominent visible or broken blood vessels. The skin is often oily with this type of rosacea as well as sensitive. The pimples may be pus-filled acne bumps or red bumps. These bumps occur more frequently on the nose but can appear anywhere on the face. As the name suggests, this form often affects the nose and is prominent in male patients. The texture of the skin changes and causes the nose to look bumpy and thick. Another notable symptom is the enlarged pores on the nose. Ocular Rosacea causes red, itchy eyelids and is typically treated by an ophthalmologist as opposed to a dermatologist. It may occur on its own or with some of the symptoms that affect the skin. No one really knows what causes it, but there are likely many things that contribute to the condition. Dermatologists believe that patients with rosacea have overactive sensitivity in their skin that responds to normal stimuli compared to people without it. Moisturizing is critical because dry, sensitive skin doesn’t have a healthy skin barrier. Certain types of rosacea may result from inflammation due to mites or bacteria that live in the hair and skin follicles such as Demodex. Some research illustrates that people with this skin condition have more Demodex mites on their skin that trigger the inflammation. Other causes may be internal such as a hormonal imbalance or H. pylori infections of the stomach. Smoking is also associated with it. It’s vital for successful treatment to understand what triggers your flare-ups. If you know to avoid these triggers it may help you keep your rosacea under control. Some common triggers include red wine, hot beverages or food, sun, or spicy cuisine. Everyone has different triggers usually specific to their skin. It’s critical to pay close attention to what you’ve eaten or environmental factors that are associated with your flare-ups. Hopefully, you can find a pattern to help you avoid frequent occurrences of symptoms. This skin condition can be detrimental to your quality of life and self-esteem. People with rosacea not only deal with the physical discomfort but suffer from the impact that it has on their appearance. Identifying the right treatment will greatly help your skin and self-esteem. It is important to protect your face from the sun and wear fragrance free moisturizers. Use zinc-based sunscreen and fragrance-free washes. (link to out Elta MD UV clear). Other topical treatments with calming ingredients can be used such as niacinamide. Topical treatments with sulfur are known to have anti-inflammatory and anti-microbial properties. Ivermectin is a new medication used to treat rosacea. It’s a cream that combats the overgrowth of Demodex mite. There are also some medicines that temporarily constrict the blood vessels in your skin to treat the redness. However, these only last approximately 12 hours, so they are more similar to make-up to cover up the redness. If you have a severe case of rosacea or inflammatory pimples, your dermatologist can prescribe certain oral antibiotics such as doxycycline. Higher doses of antibiotics are often used to calm the disease early on followed by more extended periods of lower doses. Laser therapy has proven helpful for patients with rosacea. 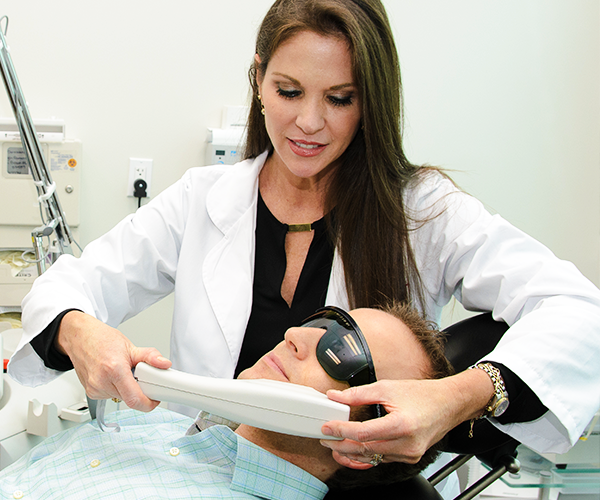 At Siperstein Dermatology Group we offer ND: YAG and IPL lasers in our offices. These lasers specifically target the dilated blood vessels that are causing flushing and red cheeks/nose. For female patients, certain products are formulated for rosacea. One well-known brand that has products formulated for sensitive skin is Clinique. Clinique and other brands also have makeup with a green tint that helps mask the redness. For the most severe cases, the medication isotretinoin, (formerly known as Accutane) can be used when other treatments have failed. It’s also another alternative for people who have scarring from acne associated with rosacea. Rosacea severely impacts patients’ lives, but our office can help you reduce your flare-ups and identify possible triggers that cause the condition. We can give you your life back with methods that have helped thousands of people feel better physically and boost your self-esteem. Give us a call today!